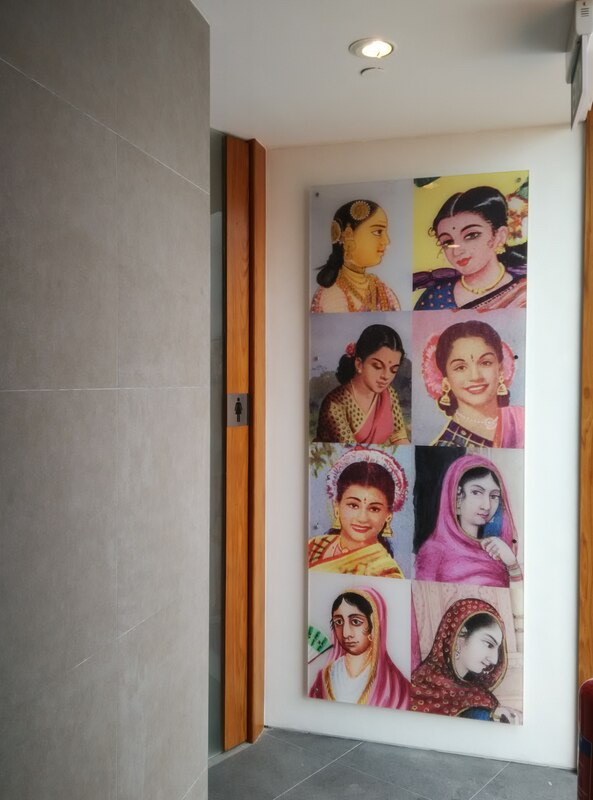 If you love Indian History and Culture to be your spiritual nutrition, spare a hour or two to visit IHC at 5 Campbell Lane, Singapore 209924. Believe me, it might cure your thirst over the dry spell. 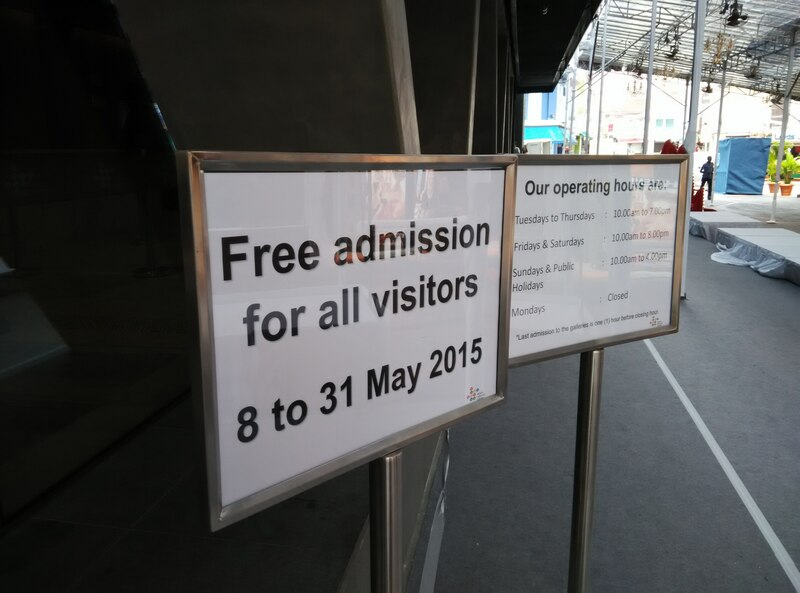 It is free admission for all visitors from 8th till 31th of May. 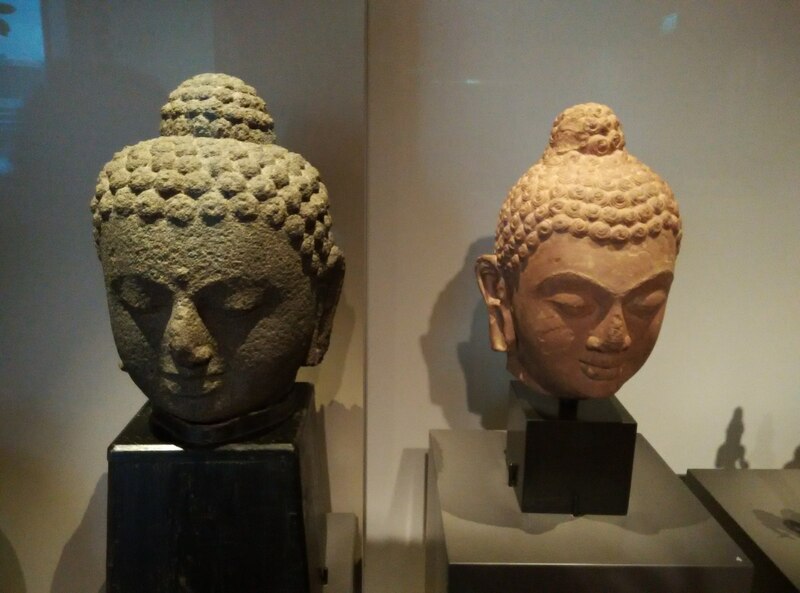 The Yali or the mythical lion is an auspicious motif known in Southeast Asia as a Kala head. 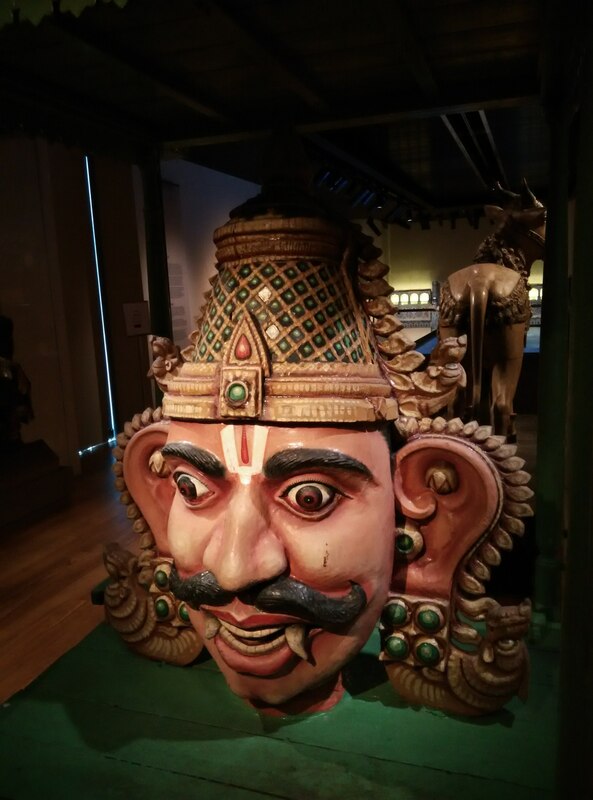 It represents Kirtimukha or the “Face of glory” widely used in Indian temple Architectural. 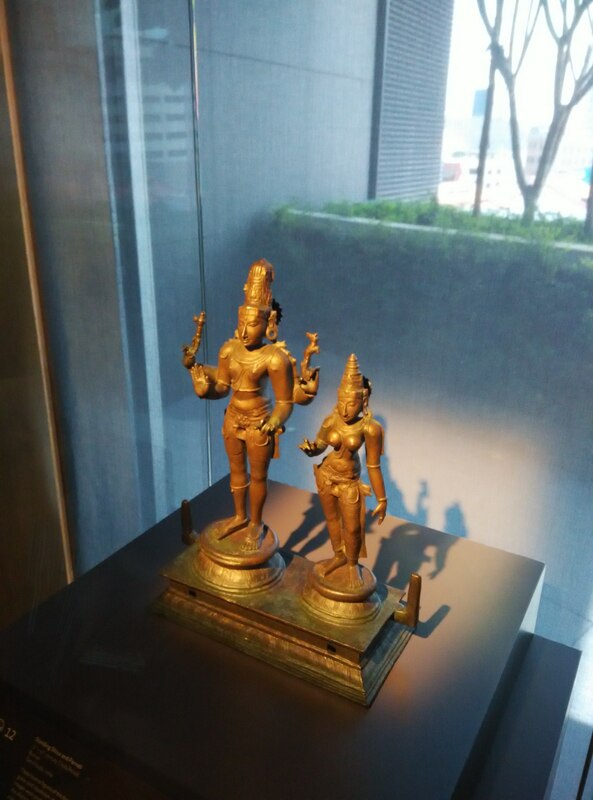 These bronze figures of the divine couple, Shiva and Parvati, embodies grace and classicism reminiscent of Indian classical dance. Such images were produced using the cire perdue or lost-wax process, in the district of Thanjavur, the capital of Chola Kings who ruled over parts of south Indian 10th – 13th centuries. 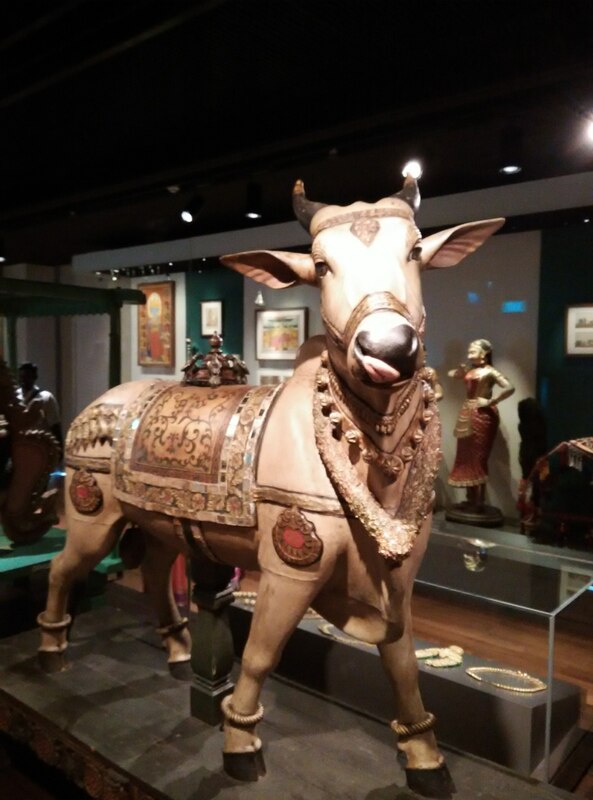 In Singapore, during major South Indian temple festivals, such bronze deities are carried in chariot processions along the main streets. 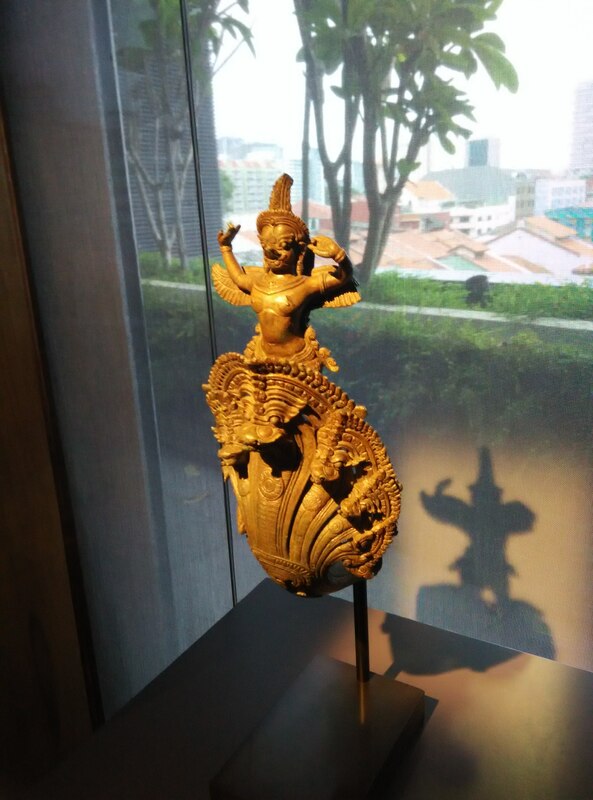 This decorative element would have been used on a Khmer Chariot as a symbol of power and strength, perhaps designed for a royal palanquin or chariot. 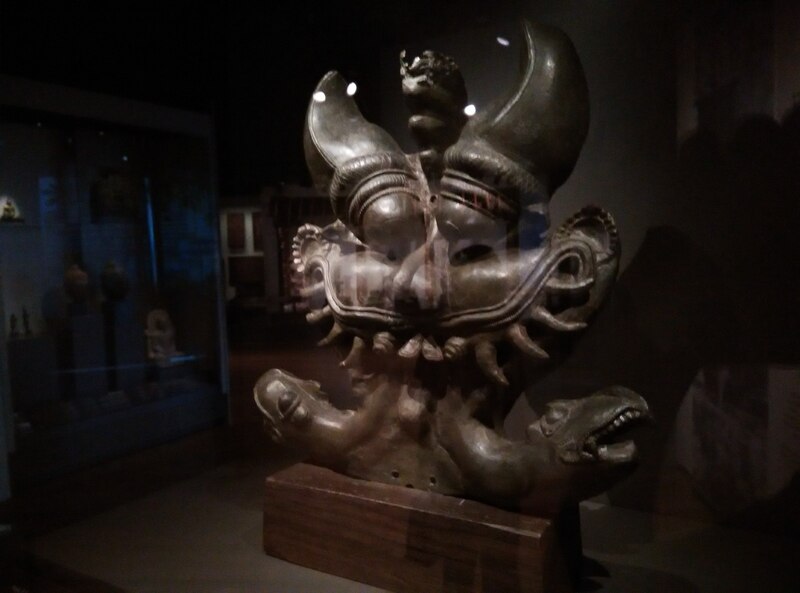 It depicts a fierce-looking garuda (mythical bird), raising his powerful chest in a stance meant to intimidate, atop a multi- headed naga (serpent ) who looks poised to attack. 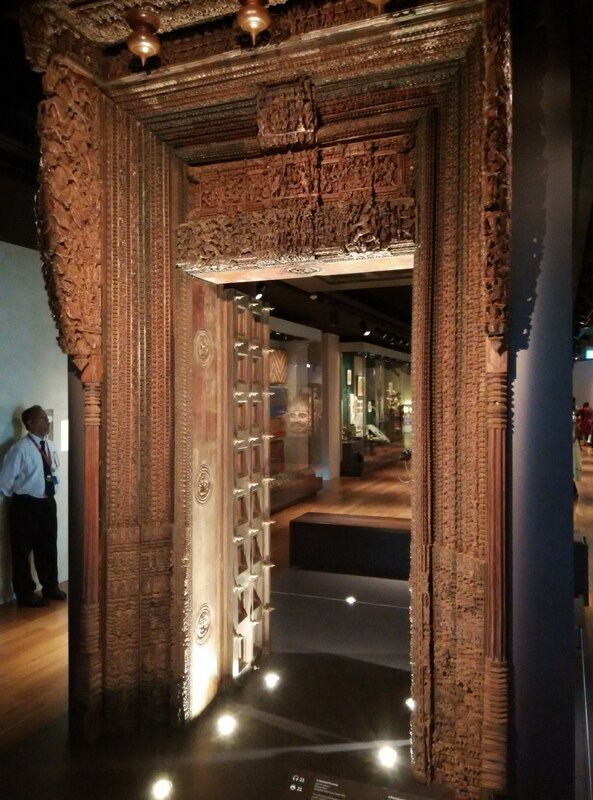 This doorway plays a important role in Indian domestic architectural and serves to separate the sacred personal world from the outside world. The elaborate carvings of mythic motifs also invoke the power of the divine and offer protection for the owner and his/her family. 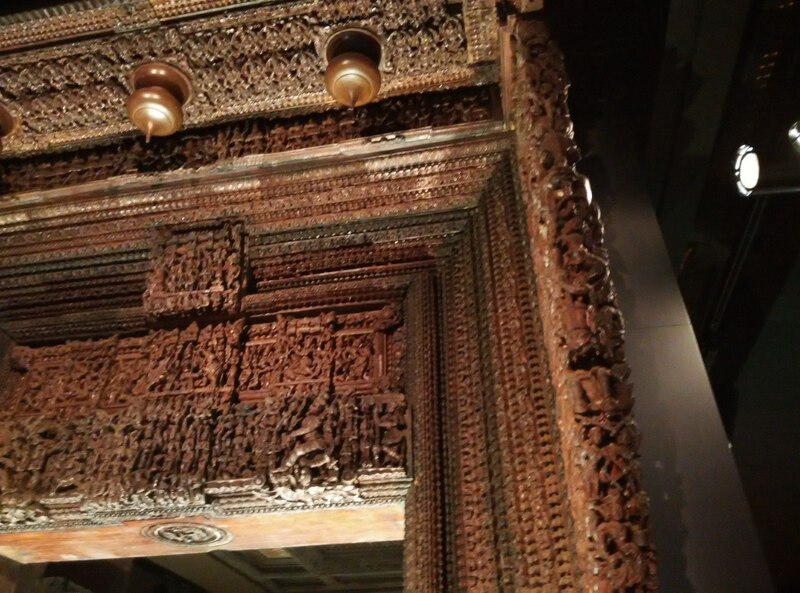 This intricately carved entrance doorway, with its jambs and lintel panels consisting of about 5000 minute carvings, it is a example of south Indian domestic architectural during the late 19th – early 20th centuries.It represents the bespoke architectural and woodcraving traditions of Chettinad, home to the Nattukotti Nagarthar Chettiar community of financiers and traders. 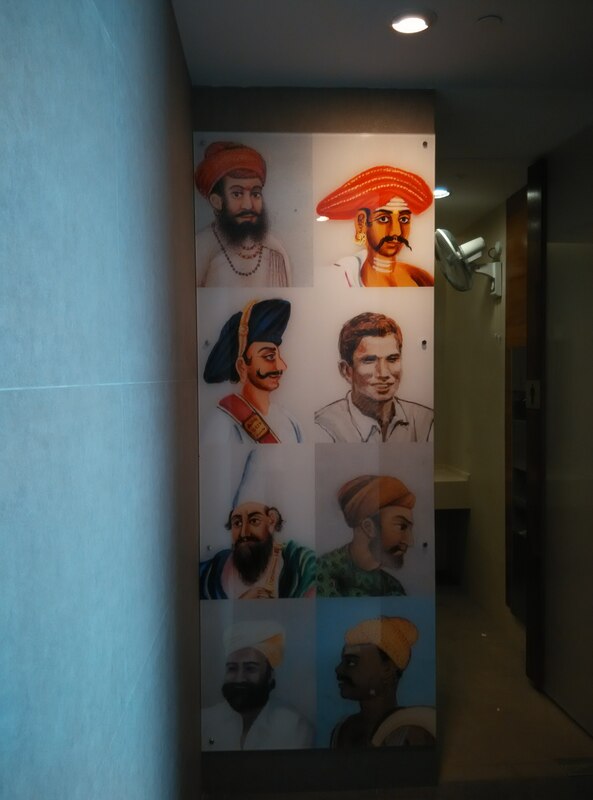 Say hello to all Ladies and Gentlemen before entering washroom. 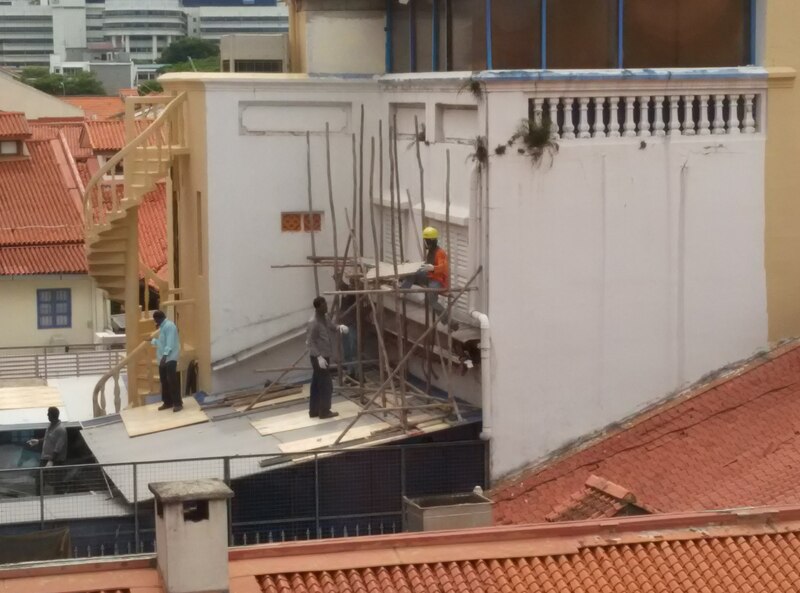 By wrapping-up the trip, say a big THANKS to those Indian workers who contributed so much to our society. 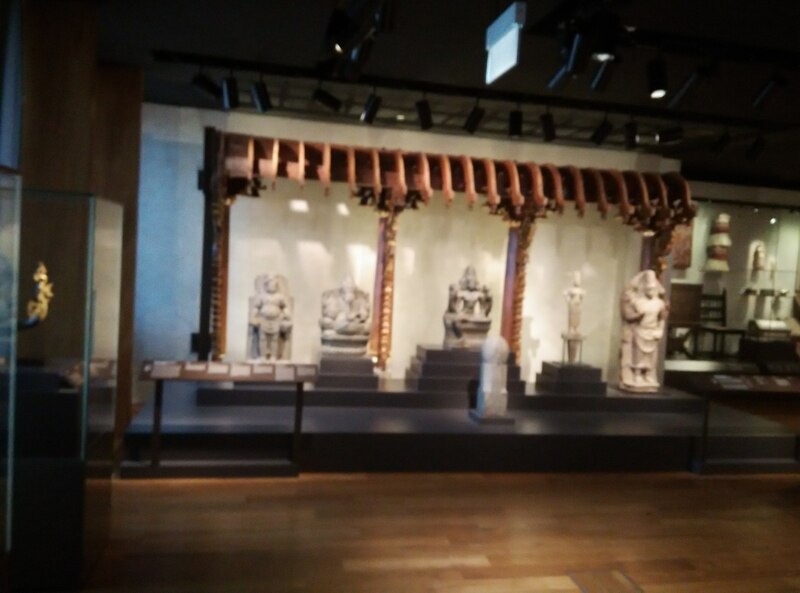 This entry was posted in Singapore Spot a Spot / 点出景点 and tagged singapore asian civilsation museum, Singapore Heritage, singapore museum, Singapore tourist board. Hi Sydney, it is great to be reading your blog again! I really missed you during those months you were too busy to post. Hope you are doing well. Hey Julia! Nice to hear you too! I am alright, it just busy with bread and butter. I wish you be well and happy! Forever!